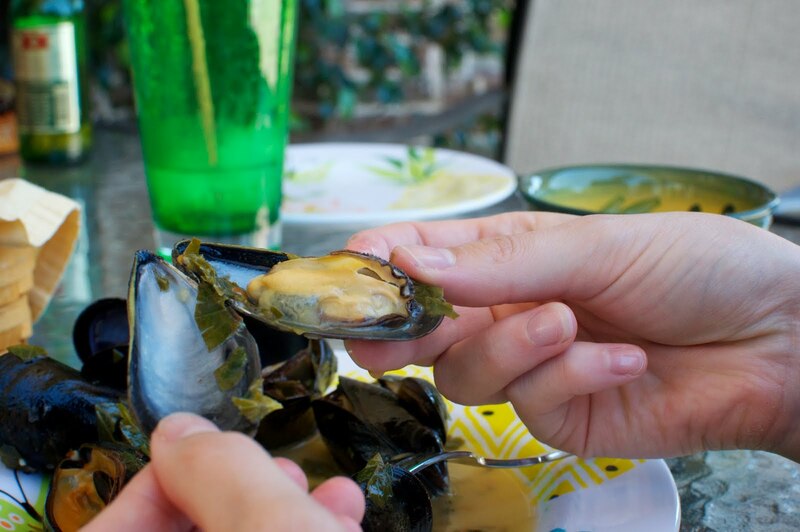 Those delicious doozies are grilled mussels. Yup. That's right. 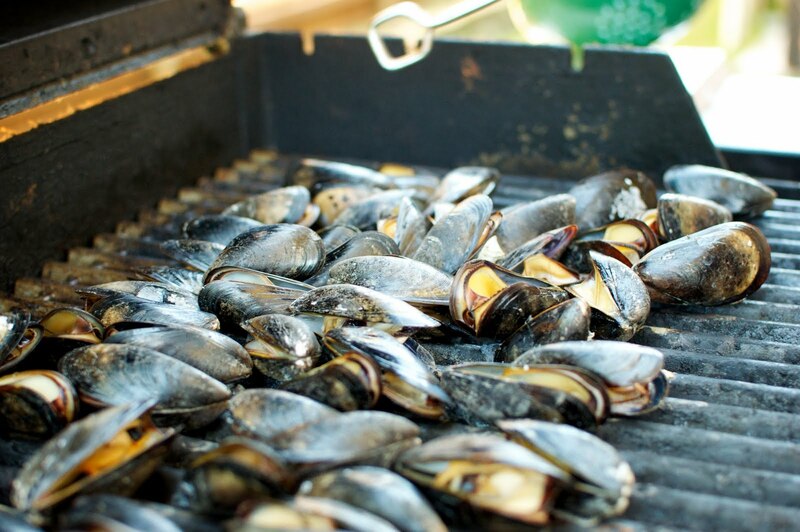 Mussels spread on the grill until they yawn open, and say, "I'm ready! Please drown me in delicious sauce and serve me with bread." If you can buy de-bearded mussels from your seafood vendor…do. It will save you a lot of time scrubbing with a toothbrush. Good seafood shops will give you the mussels in a net bag, so the mussels can breathe. If they give them to you in a plastic bag, this is fine. Just leave the bag open on the car ride home. 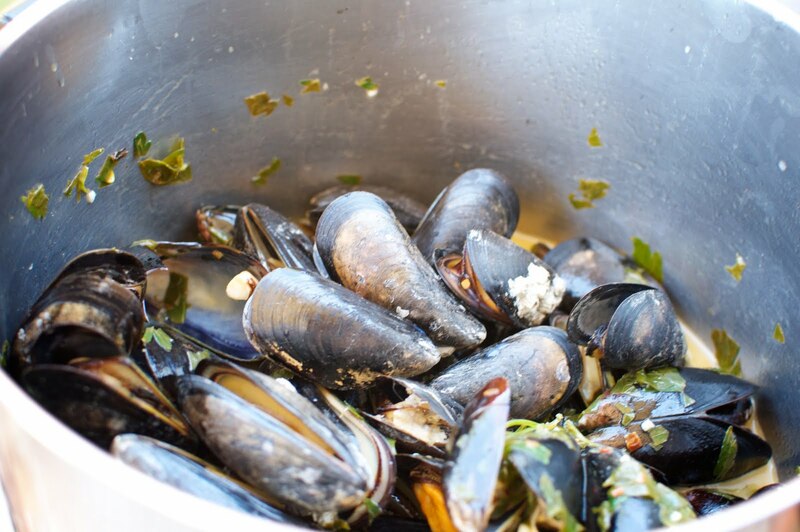 Remove the mussels from the open bag as soon as you get home, and place over ice. If a few mussels die on the way home (they open up) that is fine. Just throw them away. Some mussels will open slightly, and this doesn't necessarily mean they are dead and therefore bad for cooking/eating. Tap them firmly with your finger. If they are still alive they will snap their little shell shut. If they don't close when tapped, THROW THEM AWAY. If serving mussels as a main course, I go with 1 pound of mussels per person. If this is just an appetizer, before a serious meal, you can do about 1/2 pound per person. 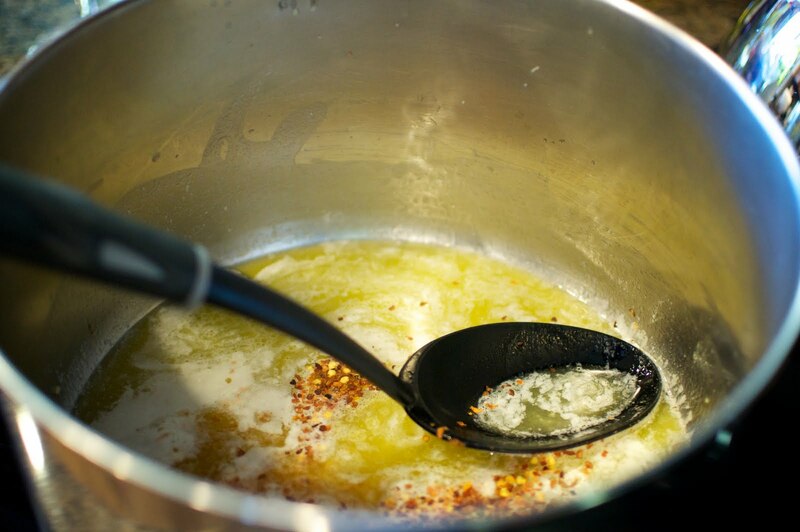 Melt butter and olive oil in LARGE stock pot. Saute garlic until softened. Add all ingredients except parsley and mussels. Cook over medium heat for about 10 minutes until flavors have melded. Remove from heat, add parsley and set aside. 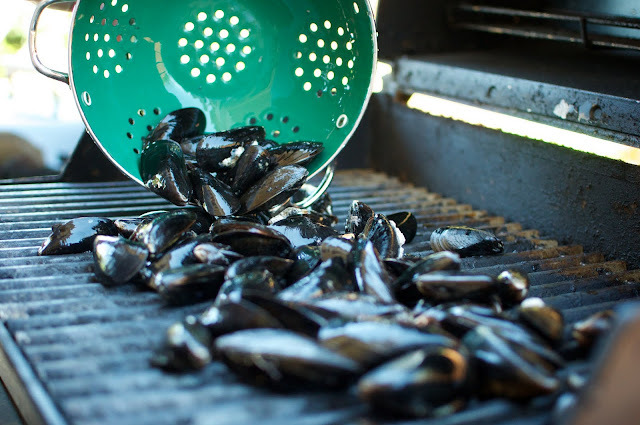 Spread clean mussels (all firmly shut) over a hot grill. When they open about 1/2 inch - 1 inch, they are ready. Remove from grill and place into pot of sauce. 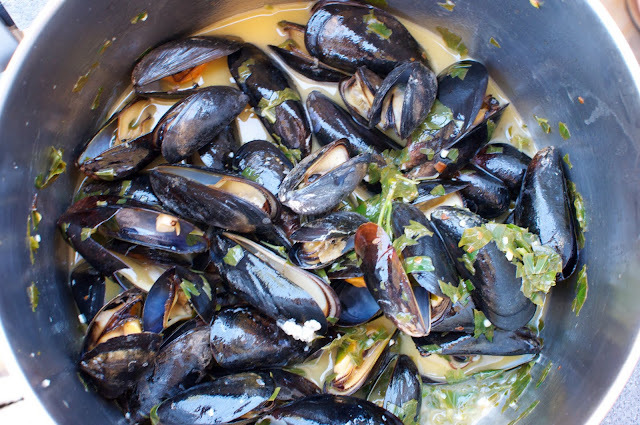 When all mussels have been added to the sauce, bring the pot to a table. Serve with crispy bread for sopping up the awesome sauce.